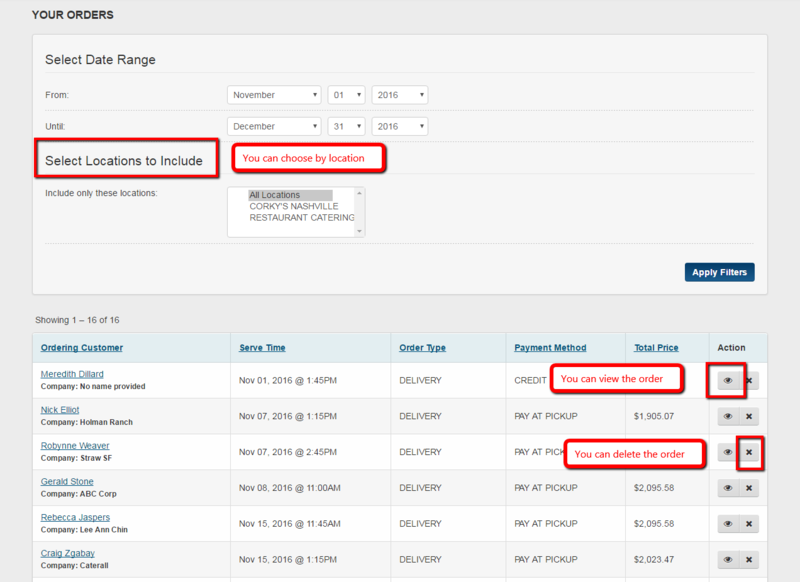 In this article we will go over how to View All Orders in the overview tab using the view all orders tab. 1 - Click on the Overview tab and then click on the View All Orders tab. 2. Then a new screen will appear and you can change the Date Range to show the orders for the selected date range. Once you choose the date range then click on Apply Filters tab. 3. 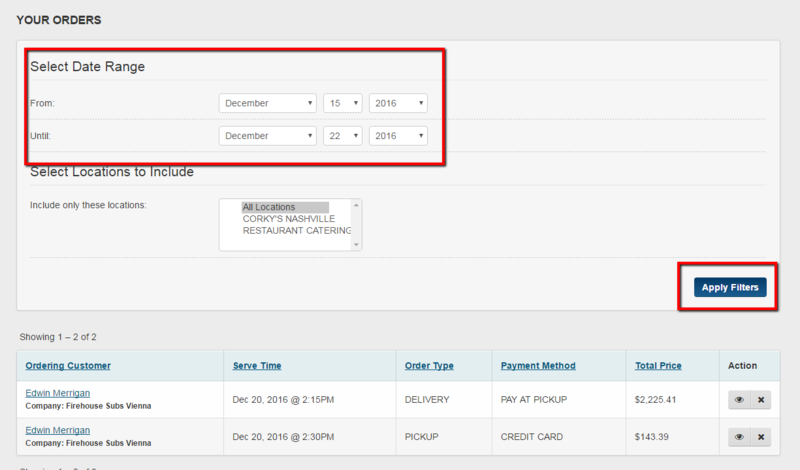 Once you apply filters the orders for that Date Range will appear. Please note that you can choose a specific location for the date range selected. Also you can View the order and Delete order on this page as well. 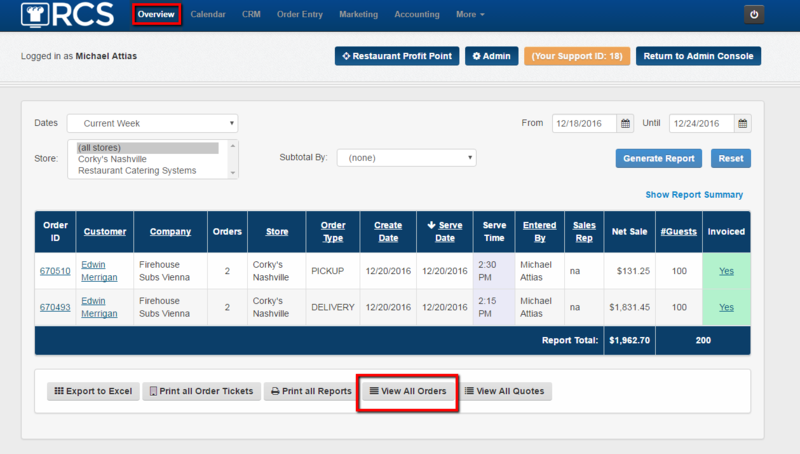 You have now used the View All Orders tab found in the Overview tab to view orders for a specific Date Range.